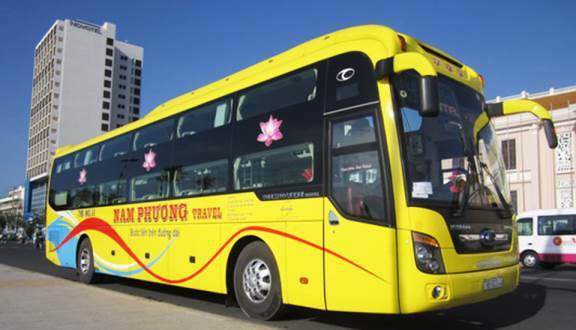 Phuong Nam Express entered the Vietnam express bus market in order to satisfy the demands of routes travelling from Ho Chi Minh City or also known as Saigon to the beach city of Nha Trang and other central provinces. The bus company has imported high-quality sleeper buses from South Korea in order to serve the bests to their passengers. The buses are equipped with LCD screens for their passengers to have an enjoyable time during the journey with our professional drivers and staff members. Trust Phuong Nam Express to deliver the safest and highest quality rides for their passengers when you book your bus tickets through Easybook. Phuong Nam Express has extended its operation into the travel industry by providing specially designed tours to Nha Trang city and other provinces in central Vietnam such as Hue, Hoi An and Da Nang. The operator will be able to help you to book the hotel or resort rooms of the best price with a tour suited for you. 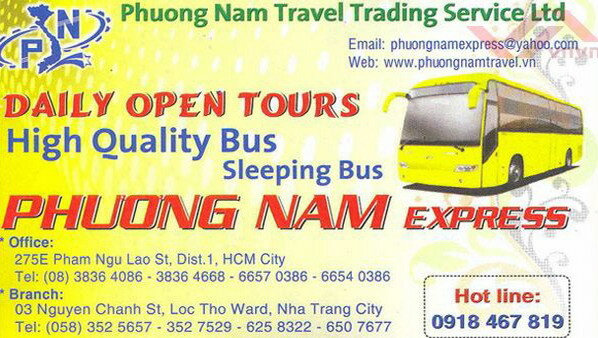 Besides the quality beds and great services, Phuong Nam Express also offers sleeper bus rental services for tour companies and groups that are looking to travel with comfort yet with a manageable budget through its attractive offers. On top of all that, Phuong Nam also transport goods within Saigon – Cam Ranh – Nha Trang – Ninh Hoa/Ninh Diem. Dealing in a variety of transportation services within the industry helps Phuong Nam to gradually affirm its position and reputation in the Vietnam market. Experience it for yourself when you travel with the bus operator after you have booked your bus ticket here at Easybook.